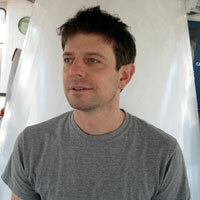 Jeremy Kaller is an editor and director living in Berkeley, CA. In addition to The Recyclergy and The Legend of Toilet-Seat Charlie, Jeremy edited commercials for Levi's and City of Hope and directed a music video for the Bay Area's own Hot Buttered Rum. He tends to over-document his daughter Izzy.